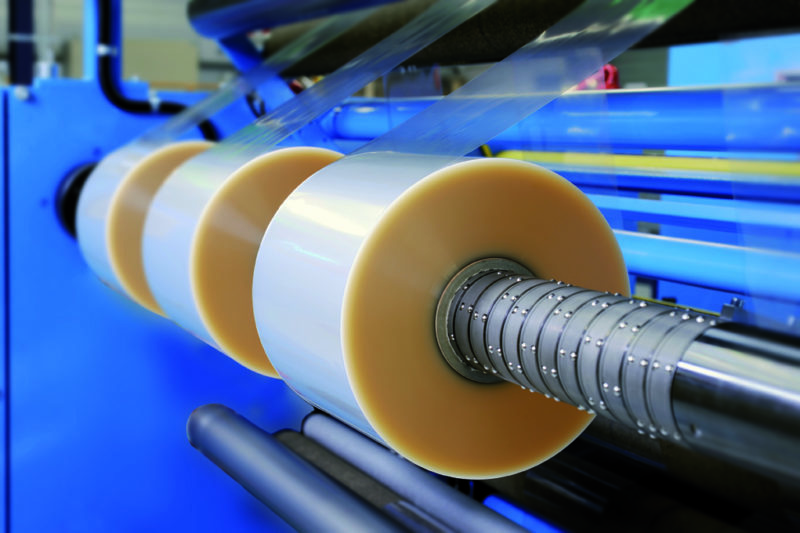 Our product catalogue includes a whole range of BOPP packaging films – EVOH barrier and PVDC coated films cut to your specifications. These multi-layer packaging films have many uses in industry, including food packaging, multimedia, stationery, mailings, cosmetics and contract packaging. We work only with tested products which are compliant with European REACH (Registration Evaluation and Authorization of Chemicals) and SVCH (Substances of Very High Concern) directives. Our products undergo robust quality control procedures, while traceability applies to both pre-and post-processing stages, thereby ensuring full safety. All our films are food grade. We will supply the appropriate certificates upon request. To help boost cost efficiency (short production runs), save time and increase ergonomy (lighter reels), we can offer you bespoke film cuts. The service applies to the whole of our polyolefin shrink, BPP, PET, CPP and PLA films and will help you manage your supply flows and align your consumption with your needs.